Mt. 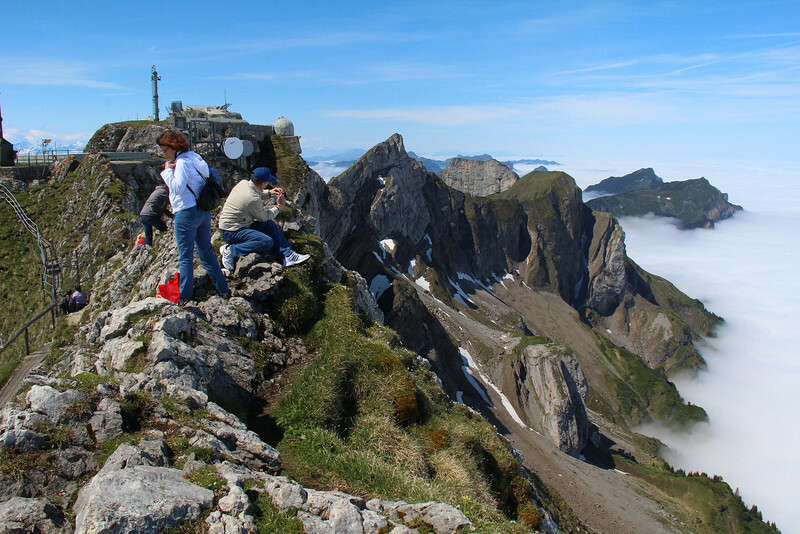 Pilatus. Notice the narrow dirt path on the right edge of this ridge next to the rock spine. One misstep here and the first fall is hundreds of feet. In places only a tuft of grass separated the trail from the edge. Can't help but wonder how often someone falls. People not used to climbing, (like me!) were all over it. Yes, I was nervous, but it was exhilarating.